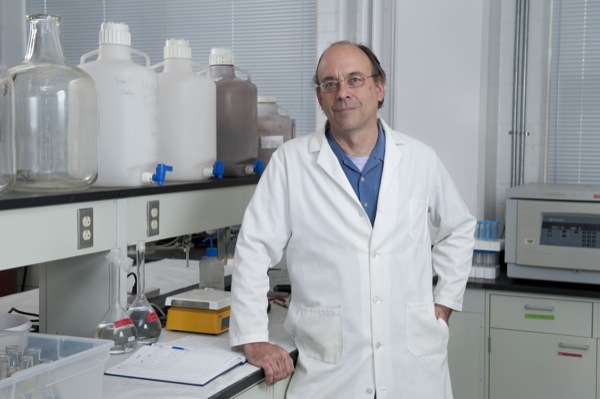 The Gates Foundation has funded research on a novel wastewater treatment fabric being developed by a UD team led by Steven Dentel. 9:29 a.m., April 17, 2014--Each year in India, waterborne diseases sicken approximately 37.7 million people. One and a half million children die of diarrhea alone, according to a report by WaterAid. In the developing world, open pit latrines are common, but they pose a significant risk to public health and the environment. Open pit latrines can be as sophisticated as an outhouse or as simple as a trench in the ground. A team at the University of Delaware has reinvented the common latrine by adding a breathable fabric as a simple way to protect the nearby groundwater and wells from contamination, while also protecting sanitation workers from exposure to pathogens. The work was originally funded through the Bill & Melinda Gates Foundation’s Grand Challenges Explorations Fund. Now with $250,000 in additional funding from the nonprofit, the UD research team, led by environmental engineering professor Steve Dentel, is piloting the membrane technology in Kanpur, India, one of the country’s largest industrial cities. He is collaborating with representatives from WaterAid, a nonprofit organization. 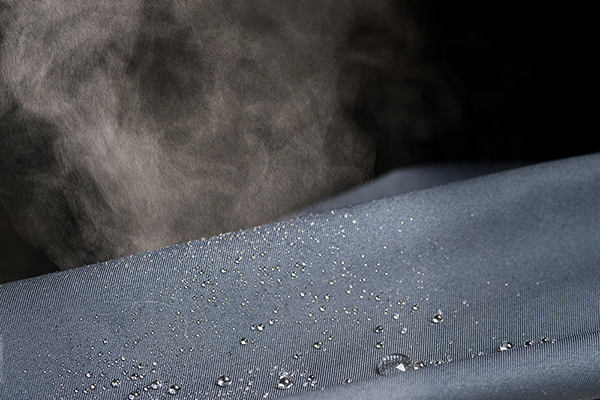 WaterAid’s research director, Puneet Srivastava, contacted Dentel after learning about his research team’s innovative approach, which uses a breathable membrane in a fabric similar to that used in sports and camping gear. “In first world countries, we use this type of fabric to keep from getting wet. But in the developing world it could be a key to basic health and sanitation,” said Dentel, a recognized expert on waste processing. The membrane captures the waste and allows water to evaporate over time, leaving everything else behind. The waste gradually dries, and clean water is released. In Kanpur slums, Dentel and Srivastava identified family dwellings where the human waste can be deposited into a 55-gallon drum lined with the breathable fabric. Ventilation holes will allow the waste to dry out, while retaining and decreasing pathogens. While the process relies on a sophisticated technology, the application must be simple and affordable if it’s to be sustainable in developing countries. The membrane also must be reusable many times, which the research team’s tests indicate it is. “The goal is to get installations in place before India’s rainy season begins this June,” said Dentel. At the same time, Dentel is working with UD engineering colleagues Daniel Cha and Paul Imhoff to apply the technology in wastewater treatment facilities in the U.S. and in advanced economies overseas, particularly South Korea. “This could be a game-changer in wastewater and sludge management, involving billions of dollars per year,” said Cha. Grand Challenges Explorations is a $100 million initiative funded by the Bill & Melinda Gates Foundation. Launched in 2008, over 800 people in 50 countries have received Grand Challenges Explorations grants. The grant program is open to anyone from any discipline and from any organization. The initiative uses an agile, accelerated grant-making process with short two-page online application and no preliminary data required. Initial grants of $100,000 are awarded two times a year. Successful projects have the opportunity to receive a follow-on grant of up to $1 million.